The first World Golf Schools Challenge to be held in Thailand was a triumph for Thai players who showed youngsters from six other countries that the kingdom could be a future major force in men’s and women’s golf. 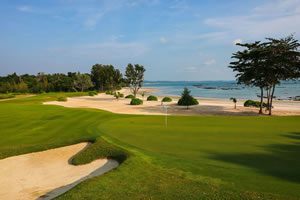 Played at four courses near Hua Hin in March, the biennial competition attracted 126 players aged 13 to 18 from 18 schools in Australia, New Zealand, South Africa, England, Zimbabwe, India and Thailand. More than 60 coaches and parents also travelled to Hua Hin for a remarkable week of golf, with accommodation at the Banyan Resort. The boys’ gross winner, Chanachoke Dejpiratanamongkol representing Broomsgrove International School in Bangkok, shot 14 under par, 20 strokes ahead of Panat Bodhidatta, representing the American School in Bangkok. The girls’ gross winner, Pannarat Thanapolboonyaran, was even more impressive with a 17-under par score, also 20 strokes ahead of Pajaree Annanarukarn. Both girls represented the American School. The Whangarei Boys’s High was the team gross winner with a tied total score with Hilton College followed by the Welsvill Boys’s High on the third place. The John McGlashan College was the team net winner follow up by the American School of Bangkok and Hilton College. The American School was the mixed teams gross and net winner with Broomsgrove placed second. The boys’ and girls’ team results marked a great entry into the competition for Thailand schools. Marco Scopetta, who organized the tournament on behalf of Golfasian in Bangkok, said it was a wonderful experience for all participants, who were able to play and mix with other aspiring golfers of their own age from around the world under professional competition conditions. “Everything came together perfectly and everyone was extremely pleased with the outcome,” he said. Marco Scopetta, a former Swiss PGA pro who was the Swiss PGA general secretary before coming to Thailand, said the success of the tournament showed Golfasian’s capability of organising and conducting international events. 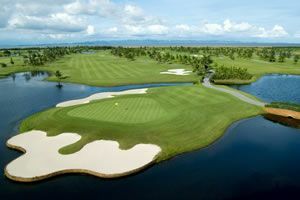 The four Hua Hin courses where rounds were played were Banyan, Black Mountain, Springfield and Palm Hills. The next World Schools Golf Challenge has previously been held in South Africa and Australia and will be staged next in 2015 in England.